Play the ultimate water balloon game! Water Wars is a game where opponents go to opposing battle stations with water balloons. Each battle station has a water balloon launcher. Place a balloon in the launcher, pull down on the handle, aim, and fire! Grab a water gun and aim, shoot, fire to soak your competitors. You will get wet with this attraction! Great for some relief on a hot day. The Volcano Island is a 25′ inflatable rock wall. Two climbers at a time. Features actual climb holds and auto belay system for safety. 4 players attached to two different bungee cords start out with a go signal and the competition begins. Each player tries to slam dunk their ball and score on the other player. This is like the regular tug n dunk but supercharged. 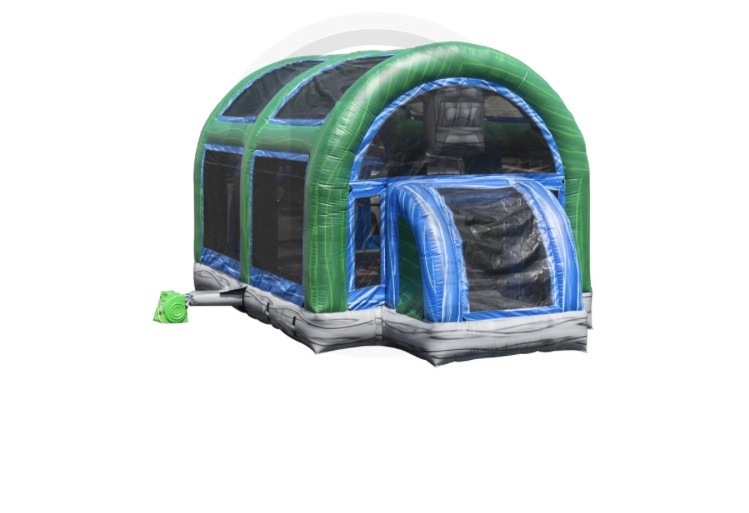 This interactive football inflatable, pits challengers against one another, using strength, competitors must run in opposite directions and cover as much distance as possible while pulling a bungee cord attached to one another's vest, competitors will run forward while springing their competitor backwards. Golf game that measures your drive distance with a radar and shows you how far you hit the ball in the fairway. Can be used a competition for the longest drive at events with a prize for the winner. Sumo will have them standing in line to try it out. We have two inflatable, oversized sumo wrestler suits with safety headgear. Take down your opponent for the win; best two out of three. Roll the huge bowling ball and knock down the inflatable pins to win a prize. Baseball carnival game that measures how fast you can throw a pitch. See your speed on the first two pitches and guess the speed of the third pitch to win a prize. “GOAL”! Shoot the soccer ball through the goalie’s hands to score and win a prize. This Pedestal Joust game offers plenty of straight-up jousting. Players can challenge each other as they each climb up onto their own pedestal, using over-sized inflatable joust poles to try and knock one another to the game floor. Race to the checkered flag with these fun pedal cars. Course is set up for two racers at a time. It’s all the craze…….using foam-tipped arrows and inflatable bunkers, you eliminate opponents by hitting the targets and knocking them out. Set up like a course with a roped off area. 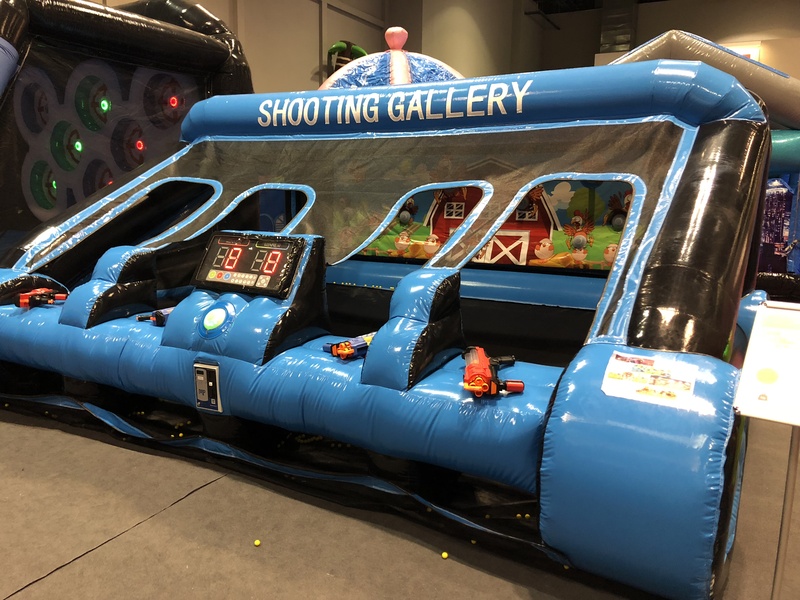 Shooting through the inflatable goals to score and win a prize. Shooting basketballs through the chains to win a prize. Uses a pitching machine to pitch the balls for the batter to hit one out of the park! Helmets are supplied and required. The game mixes your soccer skills and billiards skills on a large scale! Complete with a giant rack for the balls. 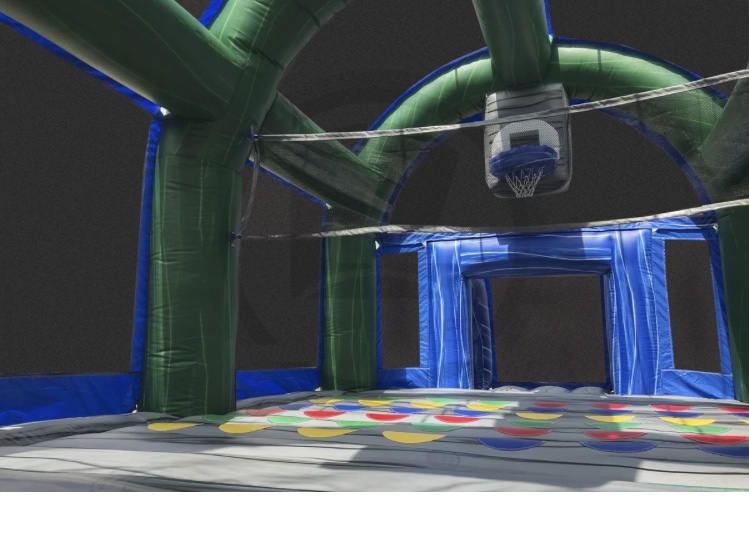 Inflatable game with laced up basketball shoe theme. Shoot, score, and win! 2 Contestants put on body harnesses that are attached with giant bungee cords. As they run down the 35’ inflatable runway, tensioning the cords, participants try to place Velcro markers on the lane at the furthest point possible before the bungee cords yank them back down the soft, bouncy, racing lanes. 3 Contestants put on body harnesses that are attached with giant bungee cords. As they run down the 35’ inflatable runway, tensioning the cords, participants try to place Velcro markers on the lane at the furthest point possible before the bungee cords yank them back down the soft, bouncy, racing lanes. The inflatable boxing ring resembles a real boxing ring with the added safety features of the inflatable rails surrounding the ring. The ring is over-sized and padded boxing gloves make even the toughest swing seem like slow motion. Prepare to have fun with this one; it's hilarious to both watch and participate. Ready, Aim, Fire! In this game it is not just the best shot, but who is the fastest shot too! 2-4 competitors do battle using low pressure air cannons that shoot soft foam balls. The object is to shoot your cannon balls into your enemy's target which is a net on the top of their cannon or a net on the inflatable behind them. It's fun for all ages! Safety goggles are used. Test your kicking skills! Kick a regulation football off of a tee and through the uprights to win a prize. Test your quarterback skills! Throw the football through the receiver’s hands/targets in this fun challenge. Tee it up and swing your longest drive for the chance for a prize! Get 6-8 of your friends together and create your own life-sized foosball game inside the Inflatable Human Foosball Game. 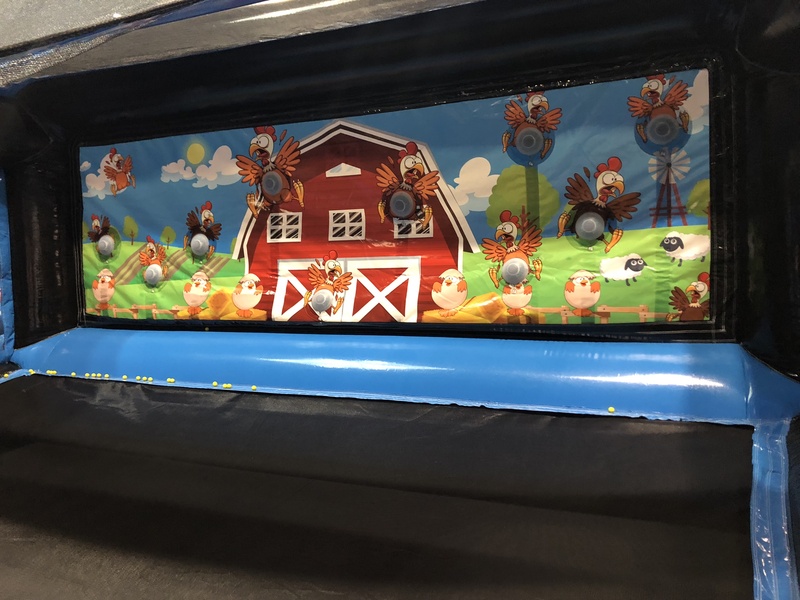 This inflatable interactive game comes complete with flexible rods to "move" each player and two enclosed goals to keep the ball in play. Two contestants try to climb the swinging, turning, suspended rope ladders up to get to the top first. Don’t worry, if they fall, they will land in the inflatable pillow! Suit up and play soccer! The soccer field in an inflatable field measuring 80’x40’. The players are on teams of 3 or 4. Each player gets in his “bubble suit” and the first team to score 3 goals is the winner!